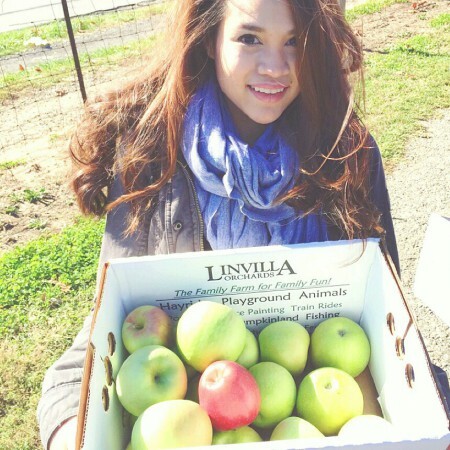 I went apple picking last weekend and managed to gather some scrumptious Granny Smiths. I was planning in making an apple pie, but my schedule got so hectic that I decided to go for its less fussy (distant) step cousin – apple crumble. Preheat the oven to 375 F/ 190C. Toss the apples with the sugar, cinnamon, raisin together and put in a tray of your choice. (I used a 20cm square dish.) Flatten down with your hand to prevent too much crumble falling through. Put the flour and sugar with a good pinch of salt and cinnamon. Add in small chunks of butter and use your fingers to rub the butter into the flour mixture until the mixture looks like breadcrumbs. Pour the crumb mix over the apple mixture. 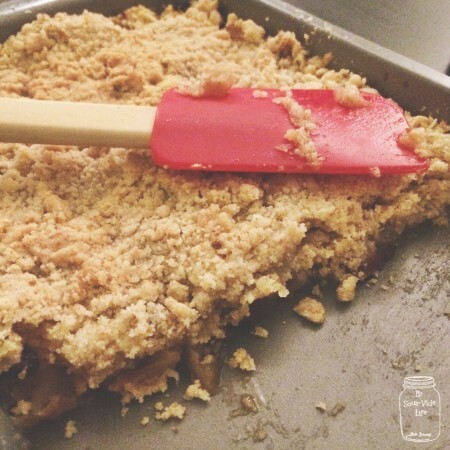 Gently press the surface with the back of the fork so the crumble holds together and goes crisp. Set on a baking tray and put in the preheated oven for 35-40 minutes, until the top is golden and the apples feel very soft when you insert a small, sharp knife. Leave to cool for 10 minutes before serving. Serve with ice-cream or custard for extra yumminess.